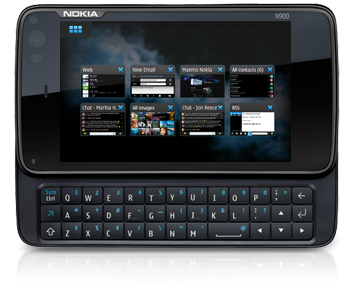 Maemo, the operating system of Nokia N900, has 3 repositoriesof applications. Repositories are Extras, Extras-Devel, and Extras-Testing and in each are grouped the applications according to their compatibility and the result of the test in Maemo. In the N900 the repository Extras is pre-configured but is not compatible with the current firmware. The user has to allow this repository before use. Extras is a repository where they are applications that are tested properly and compatible, with a perfect functionality. Also you can do click here on your N900 to install it automatically. This repository adds manually. Extras-Testing contains the new applications that have not yet been tested and verified. This repository also adds manually. In Extras-Devel we find applications in the early stages of development or version “alpha”. This repository is the least indicated for the end users, since its operation can have too many problems.